Schedule - Times Publishing Newspapers, Inc. Published 11x per year. June and July are combined. 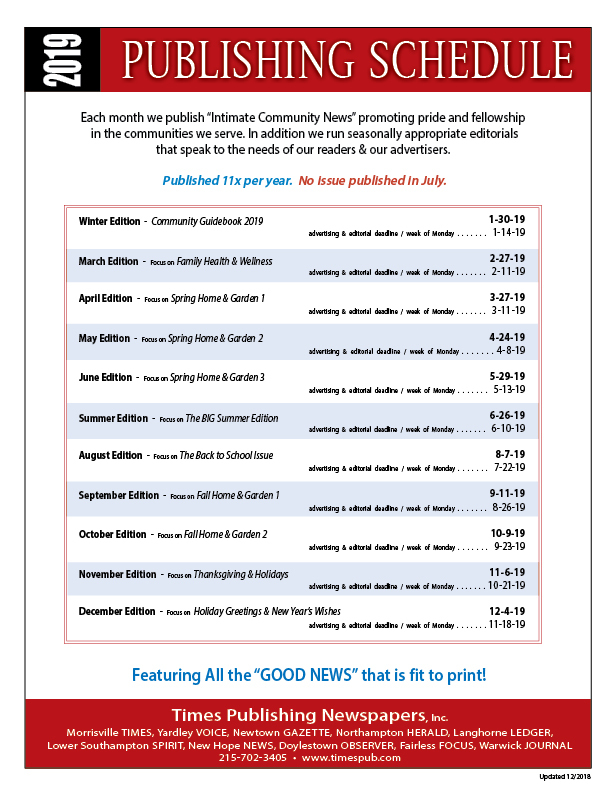 Each month we publish “Intimate Community News” promoting pride and fellowship in the communities we serve. In addition we run seasonally appropriate editorials that speak to the needs of our readers & our advertisers. 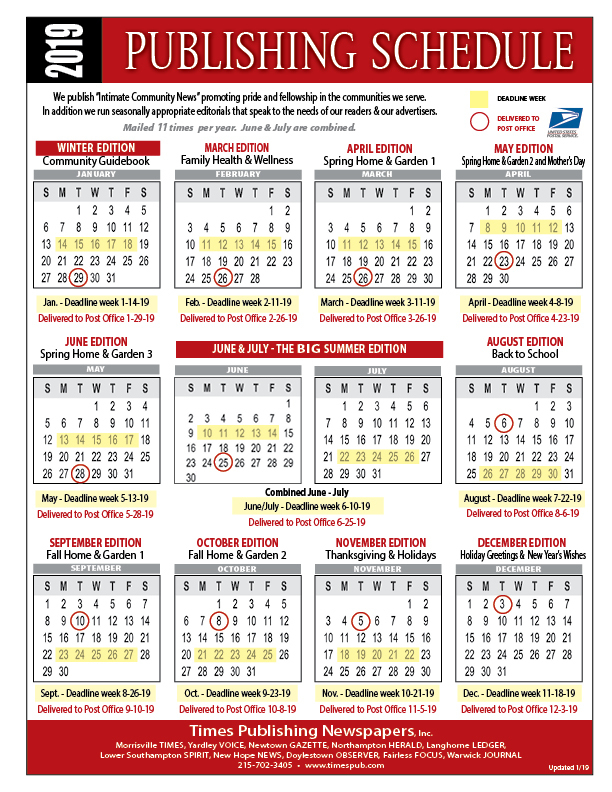 To download the publication schedule for 2019, click on the image, then right-click it and select “Save Image As…”. Please call our office if you are interested in submitting to our publications. We’ll be happy to give you all the information you need. Call us at: (215) 702-3405.